PALW is a nonprofit 501c3 organization that appreciates both volunteers and donations to help fund the programs that we offer for Wilmington’s youth. Join us for our 6th Annual City Council Open Fundraiser Golf Tournament September 26, 2018. 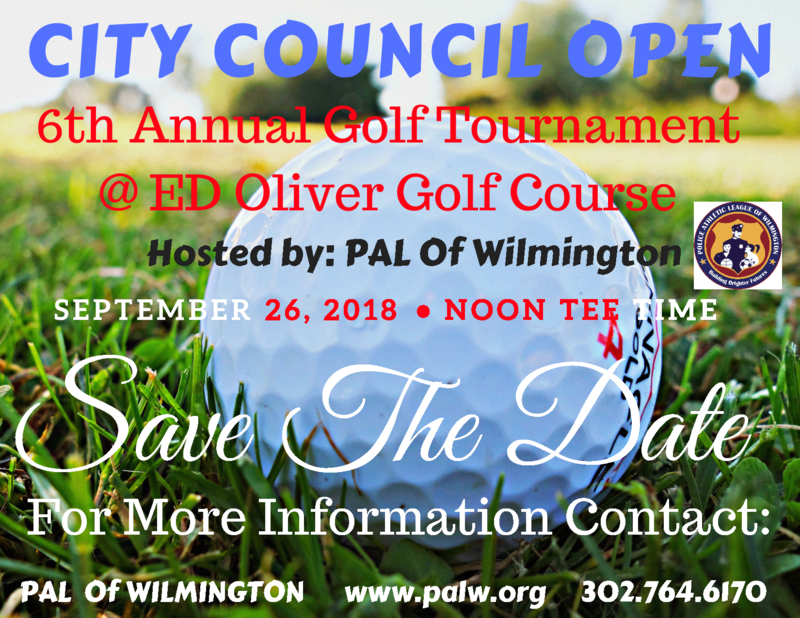 The 6th annual City Council Open Golf Tournament features an afternoon of fun and networking at Ed Oliver's Golf Course in Wilmington, followed by dinner and prizes. The dinner will also include a silent auction, 50/50 raffle and entertainment. Come out and show support for the Police Athletic League of Wilmington. The PALW has been serving the children and families of Wilmington since 2002. Sponsor Form Early bird registration has been extended to June 30th. The Police Athletic League of Wilmington gives our youth a safe haven to go after school and channels their energies in positive directions to promote self-esteem, good life choices, and healthy lifestyles. Our center has a full time police officer and dedicated staff who work to enhance the positive moral development of our young people through a large variety of sports, education, and recreational programs. All of PALW’s programs are completely free of charge.